52 years of love & care have been put into this special home. The gardens "wow those who pass by & the interior features & updates are like no other. Enter into the home w/ a custom vaulted ceiling that opens the living into the remodeled kitchen w/ newer appliances. 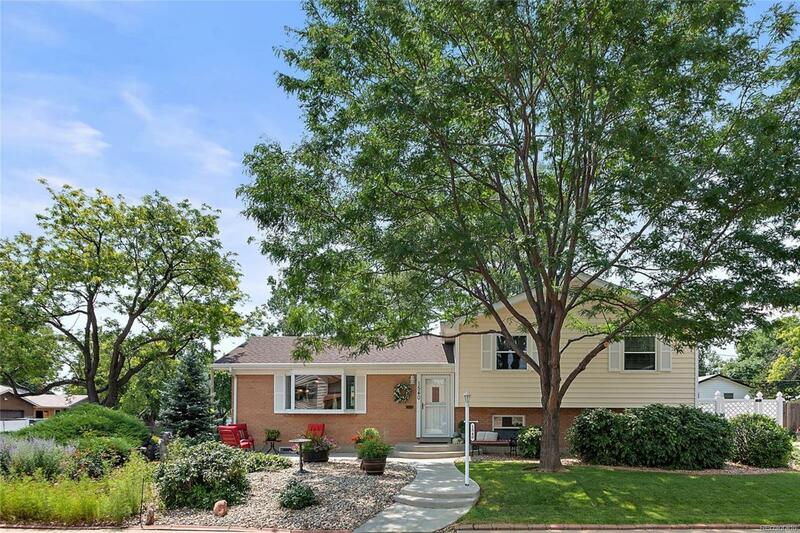 There are numerous living/entertaining spaces in this home w/ the custom 13x22 sun porch (not included in the sf) the cozy lower den w/office space & gas fireplace w/ blower as well as the basement level currently a non-conforming 4th bedroom. The upper level provides 3 bedrooms & 2 remodeled baths; one being an en-suite. The custom master walk-in closet is not often found in homes of this era. Enjoy the oversized 2 car heated garage plus additional concrete pad on the West side of home. Additional storage can be found in the attic as well as the large basement work room and the usable attic through the garage & home.